In my years as a magazine editor, one of the most irksome tasks was writing an editorial announcing a redesign of the publication. Sadly, there’s nothing fresh or original about saying your redesign is fresh and original. Would you deliberately aim for a dated and derivative look? Read one such announcement — “reader-friendly, modern, airy, blah blah blah” — and you’ve read them all. So, you might ask, why am I writing this? Mostly because my few but faithful readers may be curious as to why I redesigned the blog. So for the rest of you, my apologies as I leap into a boring but mandatory explanation of this redesign. Before yesterday, this blog used the Atahualpa WordPress theme. Though its default design is overly busy for my taste, its many options allow CSS wizards to transform it dramatically. Unfortunately, my CSS skills are limited, and after months of tweaking and prodding, I failed to come up with a satisfactory look. 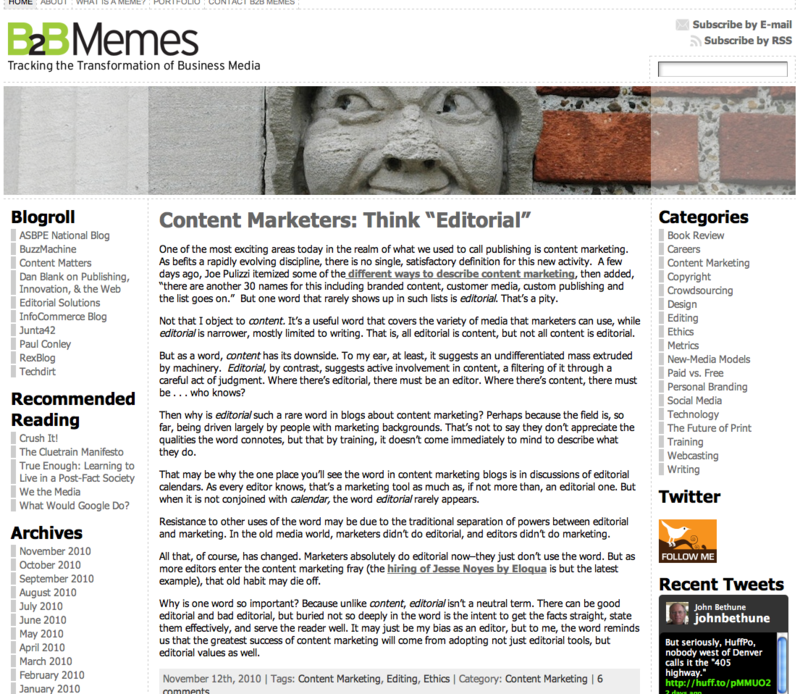 When I saw the new default WordPress Twenty Eleven theme, released earlier this month, I was smitten. Its ample white space and emphasis on readability were just what I was looking for. But it was the default theme, for God’s sake. I couldn’t use that! But after a few days of trying to imitate it with Atahualpa, I put aside my blog snobbery and chose Twenty Eleven. Modifications were still necessary, of course. If anything, the theme is almost too clean. In particular, the default version doesn’t allow for sidebars on individual posts. Though it’s a nice look that favors ease of reading, it doesn’t provide enough context for people who land directly on a post without going through the front page—as most readers do. This and the fact that I wanted to adjust the size of the header image have led me to use a child theme, the safest way to modify default themes. In my case, I started with Chris Aprea’s mod that simply adds the sidebar to posts. I then made my changes to the header image dimensions in the child theme. The Really Simple Twitter Feed Widget to show my recent tweets in the sidebar. I like the minimalist look of this widget much better than the gaudy excess of the official Twitter widget used in the previous design. The Subscribe/Connect/Follow widget to add links for RSS, e-mail subscriptions, and my various social-media identities. The Yet Another Related Posts plugin, to suggest stories similar to the current one. Again, this feature was overdue. One more change I may yet tackle is converting my commenting system to Disqus. But for the moment, I’m going to let this redesign sink in. If you’ve read this far, you’re probably interested in this sort of thing. Why not share your reactions, positive or negative, in the comments? I’d love to know what you think. 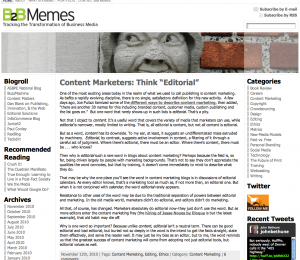 This entry was posted in Design and tagged blogging, child themes, Redesign, Wordpress by John Bethune. Bookmark the permalink.